TSWoD – More Anima, more rule hacks and more Fiddles! Another day, another post about The Secret World of Darkness. In today’s installment, we will take another look at what Anima has to offer for a character, look at some notes about conflicting rules and expand Fiddles’ character sheet. Here we go! TSWoD – Anima stat, overlapping templates and more! Another day, another post about my endeavour to dip the World of Darkness in the awesomesauce that is The Secret World. In the previous post, I talked about the basic premises of this project, and today, we will take a look at the only “homemade” rule, along with some ramblings about the material used. Get your spells and conspiracy theories, we’re going in! In TSW, a creature’s Anima is its life force. It is something that runs through everything on this planet, but that can only be controlled by a few. Sorcerers control their own Anima to empower their spells, and hideous creatures from the Hell Dimensions seek this essence out to consume and devour it. While Anima is no resource in the MMORPG, it is an aspect that separates the player character from many other agents in his secret society. Swallowing a bee sent by Gaia gives one the power to manipulate Anima, which is quite helpful in the fight against draugr, vampires and the Filth. In order to measure all supernatural creatures on an identical scale, TSWoD could use Anima as a power stat and power pool. Like Vampire’s Blood Potency and Vitae, or Werewolf’s Primal Urge and Essence, TSWoD’s Anima would measure a creature’s supernatural capacity and ways to manipulate Anima. The latter should be interpreted in the broadest way possible. An old sorcerer would have have the same Anima rating as a vicious demon, but both would show their bizarre powers in different ways. Anima would be a unifying stat, that makes it easier to compare the rather varied palette of otherworldly beings in the setting. In many ways, Anima would work like the Arete stat presented in Mirrors. It would provide characters with additional health, supernatural resistance, heightened Attributes and a way to heal bashing damage. Unlike Arete, Anima will also grant access to a pool of Anima points, which can be used to fuel the effects of Anima. Also, Anima might not grant any access to Masteries. I’ll get into the reason for that right…now. The amount of cool stuff is too damn high! Well, guess that gives away what we’ll be doing next time. In the meantime, please share your feelings about an Anima stat and the amount of cool powers found in Mirrors and Second Sight. I’ll be here to listen to your feedback. Stay alive! PC’s will be “normal” mortals who are initiated into one of the secret societies. This means that the players will not take the role of Bee People. Why I made this choice will be explained later on. 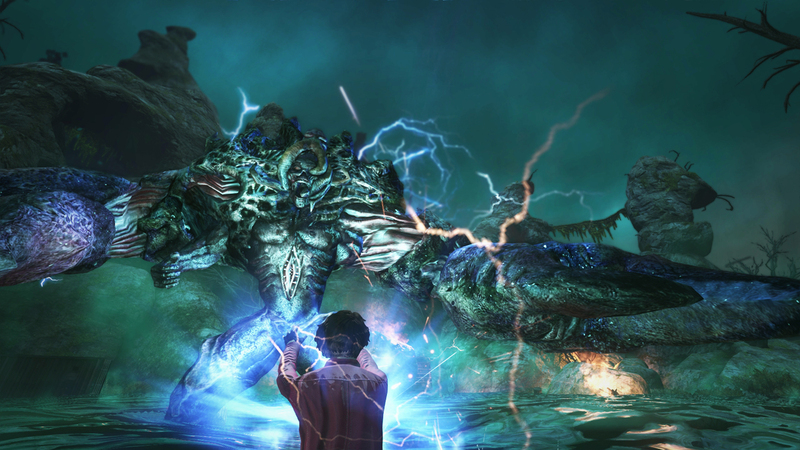 The game focuses on the discovery of the secret world, and the slow descent into the mysteries kept away from the PC’s. While this seems like a choice of flavour, it will also impact some game system choices. TSWoD should need a minimal amount of house rules, using mostly rules available from a small amount of WoD books. You’re not special, all you can do is shoot lightning from your hands! In the setting of TSW, it is rather special when Gaia sends out a bee to give a normal human some wacky superpowers and immortality. To keep them rare, I want players to play humans who have been introduced into the secret world in another, more subtle way than by swallowing a magical insect. Well, maybe not a more subtle, but in a more common way (by occult standards). Think of characters who have witnessed a vampire feeding, or who have learned magic in a special school. Player characters will have “kewl powerz”, but in a different way. The Secret World is about stepping into the darkness with just the light of a candle, and to boldly stride through this tenebrous world. Unlike most WoD games, it is not about handling one’s own supernatural nature, but about deciding if something is worth knowing, or if the price for it is too high. Because of this setting choice, I would drop any kind of Morality system entirely, and replace it by the Reason stat presented in Mirrors. The slow descent into madness, while gaining more power, feels more fitting to me for a TSW game. I don’t want to carry all these books! This means that, if you have these books, you just have to follow my short instructions, and you are able to run a game in the TSWoD in no time. It saves me the trouble to re-write a system that is already good enough in my opinion, and saves you a lot of reading! Well, that’s it for now. Next time, I will shine a light on the only “house rule” I would add to TSWoD, and give you a short draft of the character creation. In the mean time, you are free to share your ideas and ask some critical questions. Keep your head up!